Whenever I have Japanese food I always really enjoy the pickles you get with the meal. Looking through Tim Hayward’s excellent book DIY Food I found a quick recipe for a basic pickle. 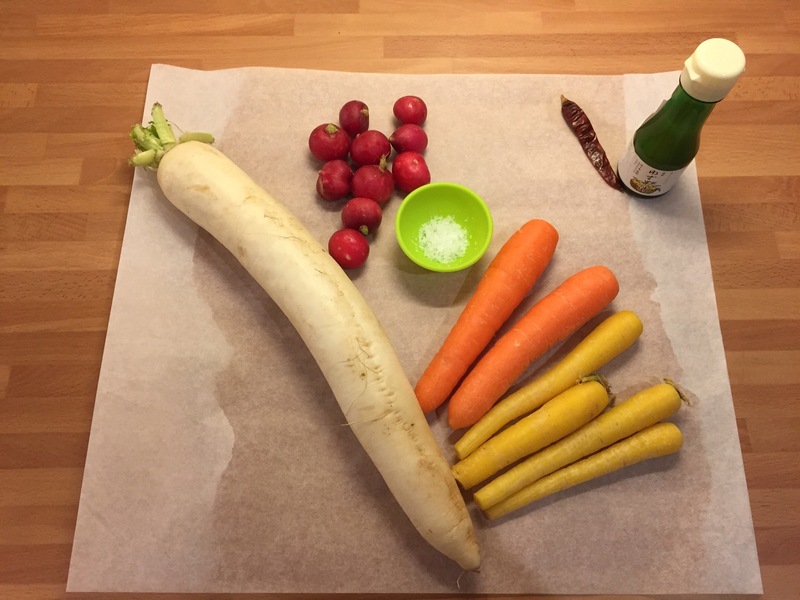 The ingredients are not set, I used carrot, radish and mooli ( also called daikon radish), the recipe also calls for 5g of salt and 15g yuzu juice ( if you can’t get this lemon juice will suffice). Then I sliced them very finely with a mandolin, put them in a ziplock bag with the yuzu juice and salt, made sure all the veg was coated, excluded most of the air and put them into the fridge for a couple of days. The result was a crunchy salty pickle! Next time I might add some other flavourings like chilli or Kombu! 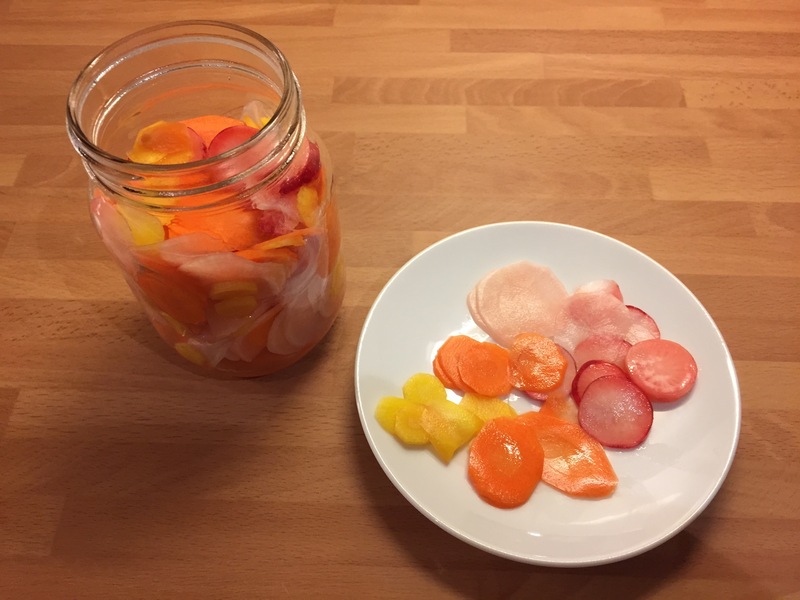 This entry was posted on November 21, 2014 by paulb in DIY Food, Preserving.